On 14 to 16 May 2018, the ROCK Partners had the pleasure of meeting in Skopje, the capital of the Former Yugoslav Republic of Macedonia, for their Steering Committee and General Assembly. Skopje is one of the ROCK Replicator Cities – along with Bologna and Lisbon. In addition to reviewing progress and creating opportunities for learning between the 10 ROCK Cities, the Partners were also busy developing new and exciting activities, both as part of the European Year of Cultural Heritage 2018 and beyond. 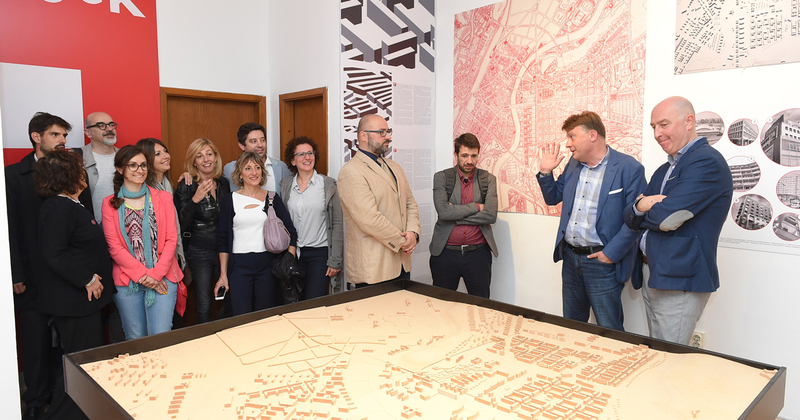 A highlight was the official opening by the Mayor of Skopje, Mr. Petre Shilegov, of the Skopje Urban Living Lab in the Old Bazaar. SkULLab aims to regenerate the area, transforming it into a modern creative hub through innovative actions (see our Living Labs factsheet for more details).